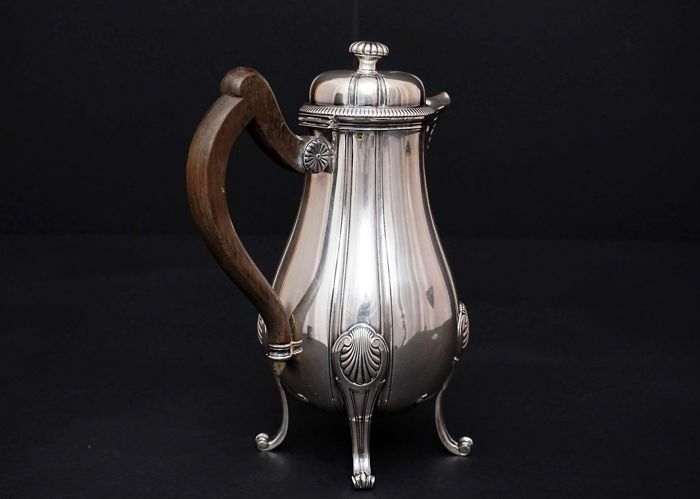 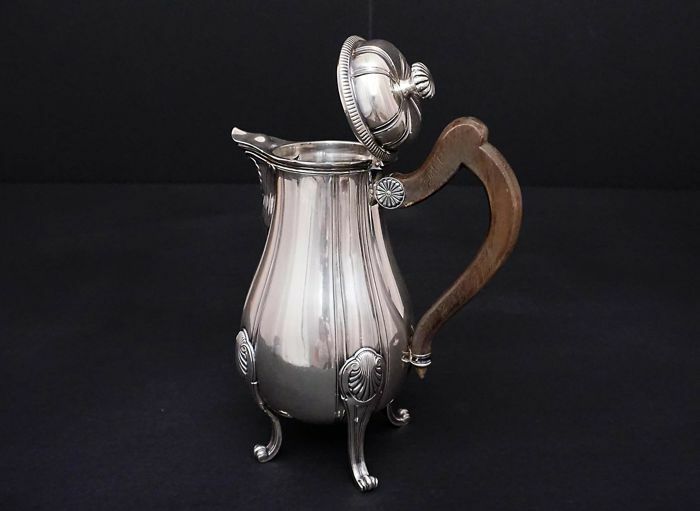 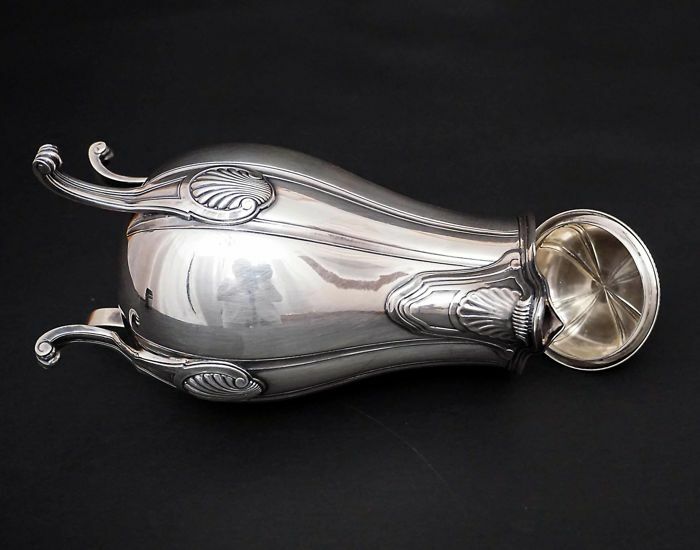 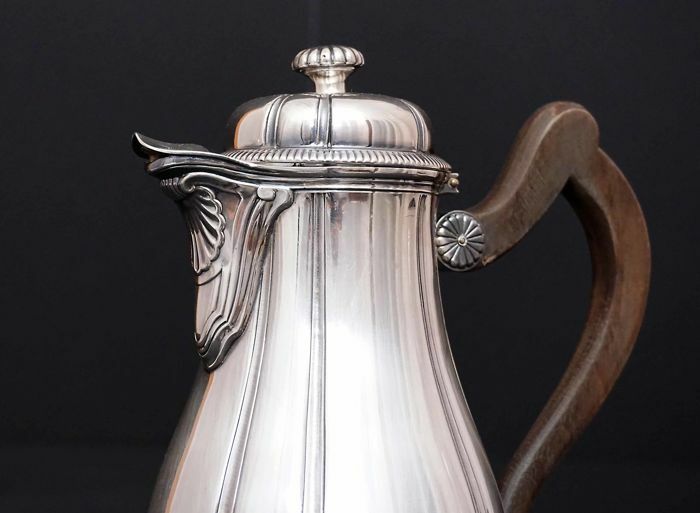 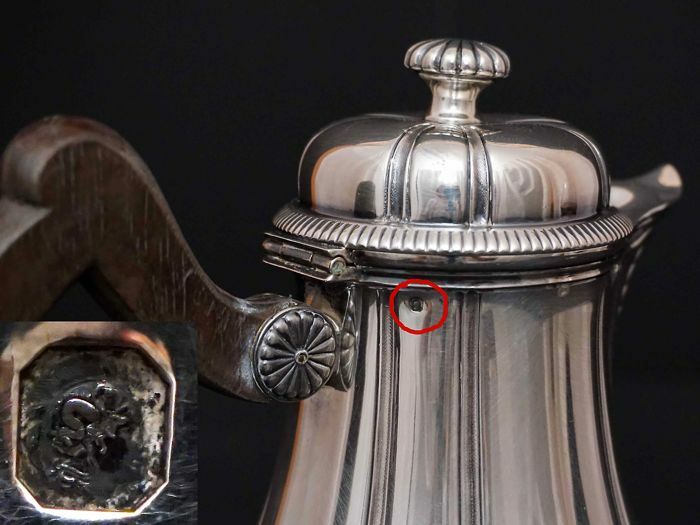 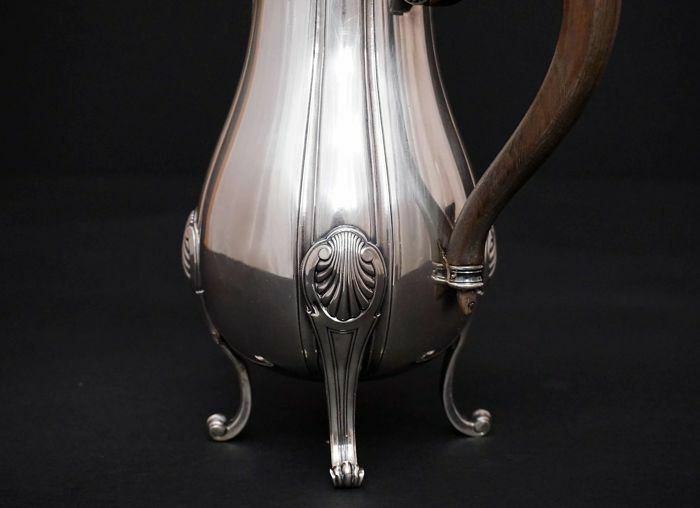 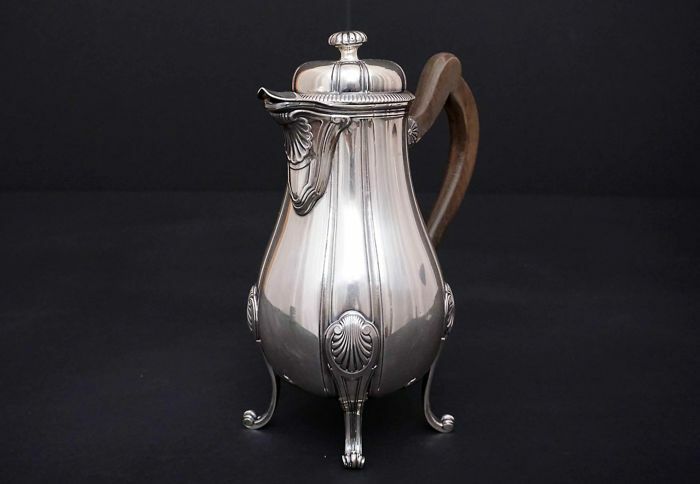 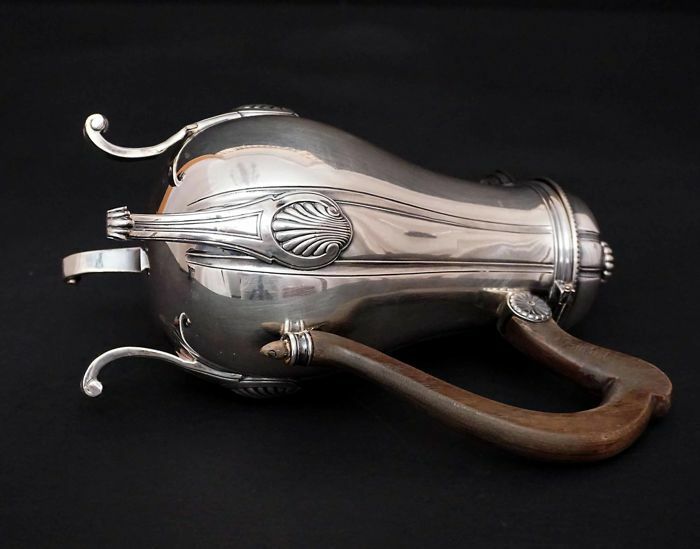 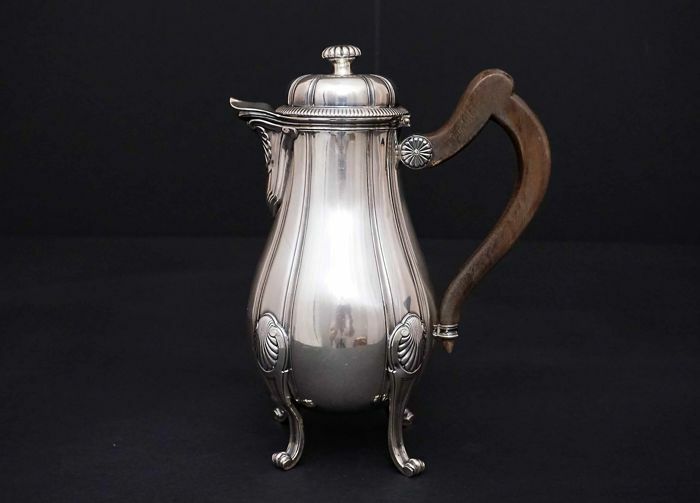 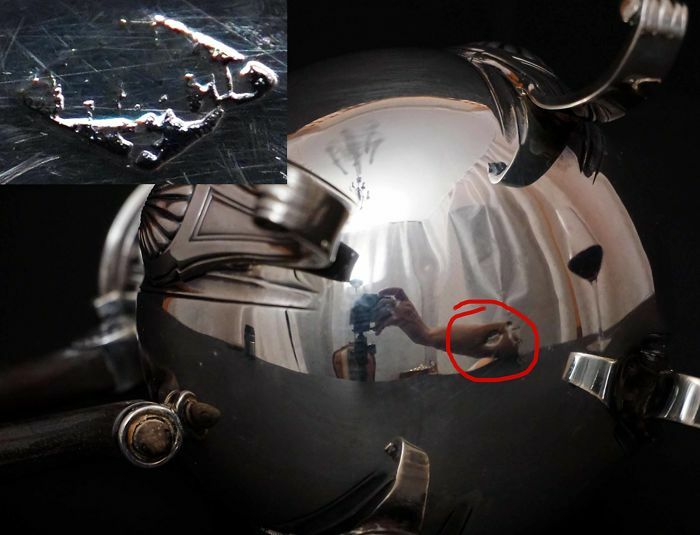 Coffee pot made of 950/1000 silver . 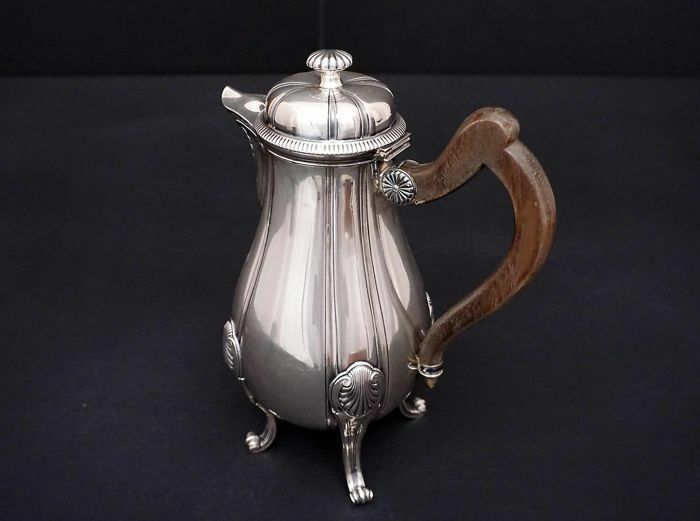 Created in France by Henin&Cie in 1896-1901. 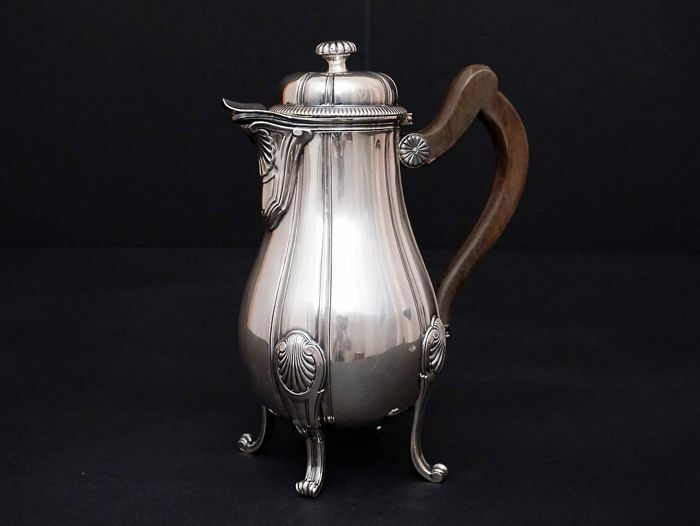 Weight 605 gr, height 24 cm, range 19 cm.